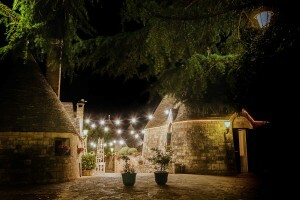 Tenuta Monacelle is an enchanting place to experience the traditional and typical housing architecture of Apulia. 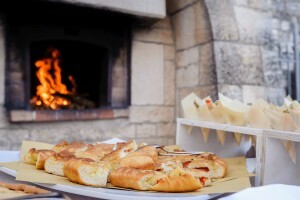 The Tenuta (Mansion) is located in a peaceful and rural area on the outskirts of Selva di Fasano. A set of cone-roofed “Trullo” houses and tufa-stone “Masseria” villas sit surrounded by pines, gardens and orchards, a top a hilly ridge 400 metres above sea level. The old burg, consisting of 28 “trulli”, was originally a convent founded by the Benedectine nuns in 1790. It is fascinating to see how the historical structure has not changed despite the passing of time, thanks to a careful modernisation program which has preserved the original charm of that era. 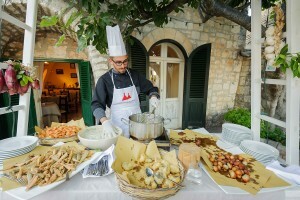 The restaurant “Il Ciliegieto” has also maintained a mark on the past: it is placed in the building where the monastic kitchen and stables would have been. 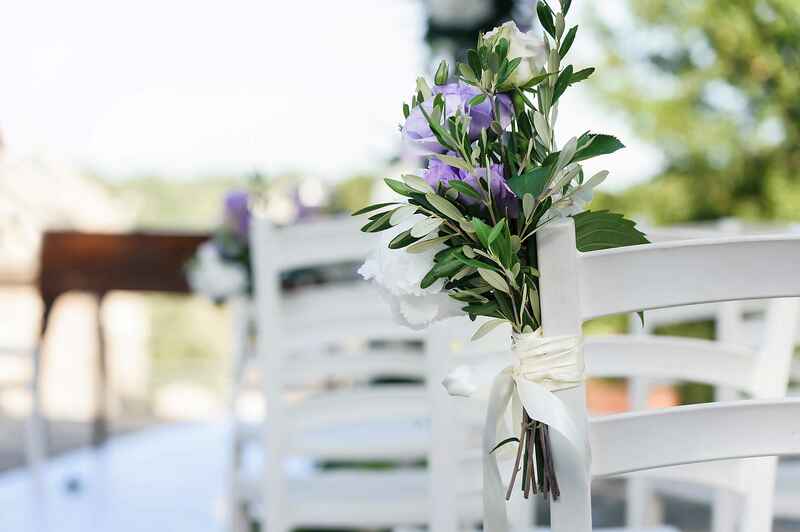 Here diners can sit on the terrace and enjoy breath-taking views overlooking the cherry garden. Definitely worth a romantic dinner on a summer night! 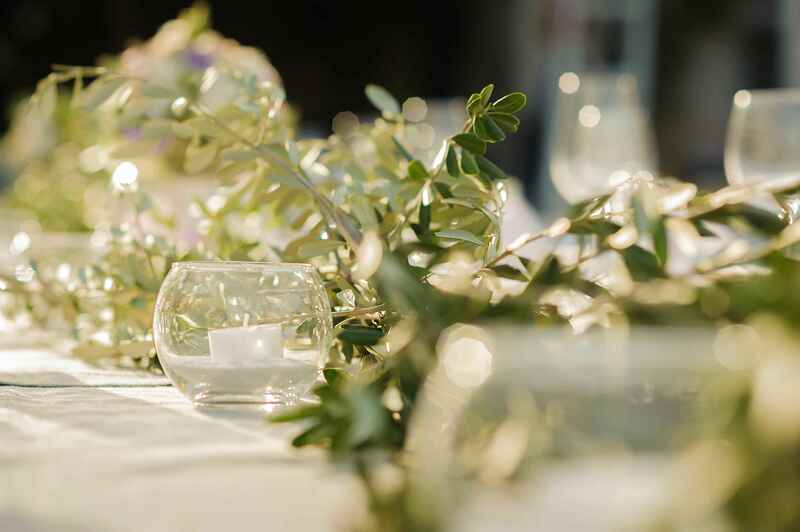 The main area of Masseria villa is very spacious and can host up to 300 guests, both for an outdoor and indoor reception, creating different ambiences in order to create a truly memorable experience. 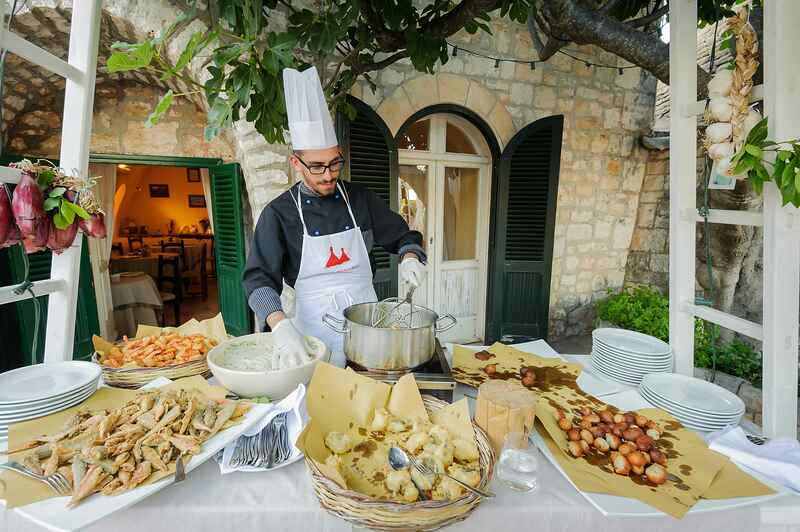 According to Italian tradition, celebrations on a special day begin with the cuisine as guests gather at the tables to enjoy delicious food paired with a good wine. To grant this desire, the Chef Alessandro customises the menu for each occasion, using genuine ingredients to create authentic Mediterranean dishes. To end the day and make the journey truly unforgettable, spending the night in a “trullo” is definitely a unique and magical experience. 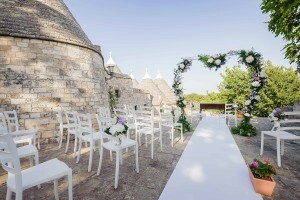 Accommodation in the trulli are ideal for an intimate wedding. 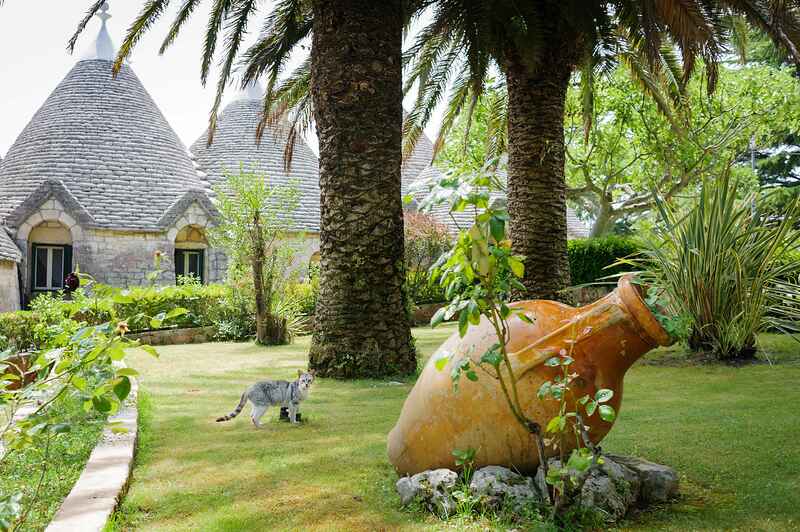 There are 7 “trulli” available, converted into stylish and cosy rooms for the guests, while the spouses can be accomodated in a deconsecrated little church that has been transformed into a stunning suite. 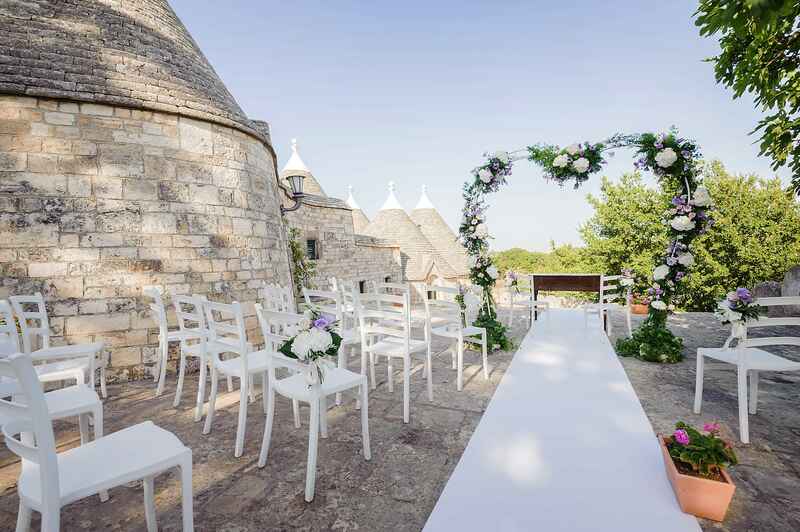 For larger celebrations the guests can also be accommodated in Masseria villas, all are large enough to suit a family, and each one features a distinctive style inspired by the various elements of nature. 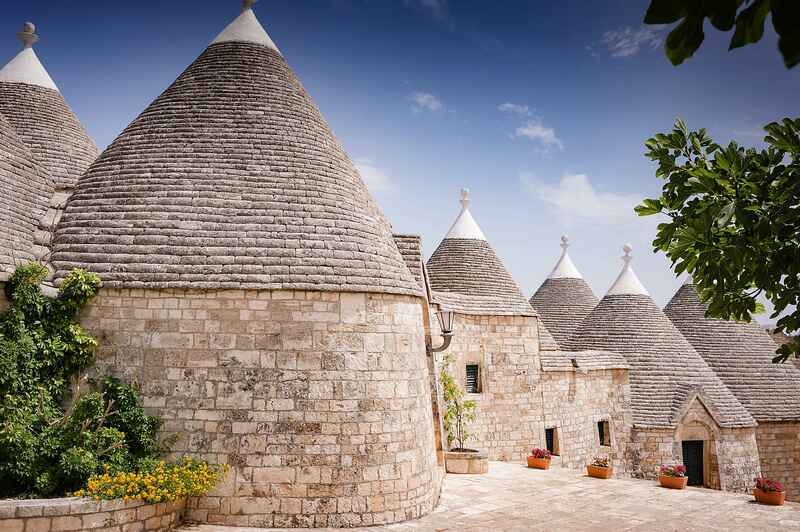 For those who can stay longer, it is worth visiting the world’s trulli capital of Alberobello, the “wine” area of Locorotondo, Monopoli with its wonderful baroque architecture, Ostuni, also called “the white city”, the coastal strip by the Adriatic Sea and the caves of Castellana Grotte. There really is a lot to see in this beautiful and unique region! Adriatic highway Bo – Ba, exit Bari Nord, continue to tangential direction Brindisi – Lecce at 45 Km, exit Capitolo/ L’Assunta follow directions Selva di Fasano. S.S. 379 Brindisi, continue to S.S. 379 Brindisi, continue to S.S. 16, exit Taranto Zoo Safari, follow signs Selva di Fasano.